If you already have your own list of contacts, you can do a massive import to Toky loading a file in CSV format (Comma Separated Values). 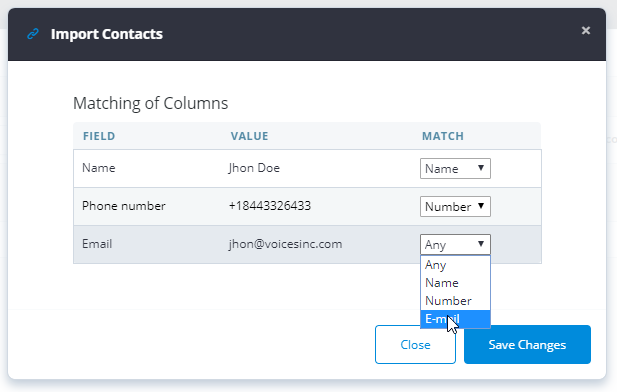 The first row of the file must be the fields name and the name and phone number fields are required. In the window that follows click to upload a file or drag the file with the contacts to the zone. You must now match the loaded columns from the file and the Toky directory fields.